This month we are celebrating the 10th birthday of My Favorite Things, so today we're showcasing some awesome birthday cards spotted out and about! Lynn's birthday card made many of us squeal with delight in the My Favorite Things Challenge & Inspiration Blog Facebook Group! 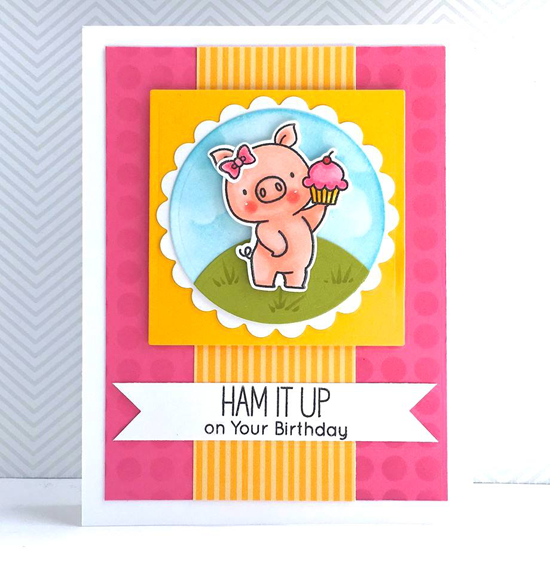 Love all of the vibrant colors she used with the Hog Heaven stamp set. 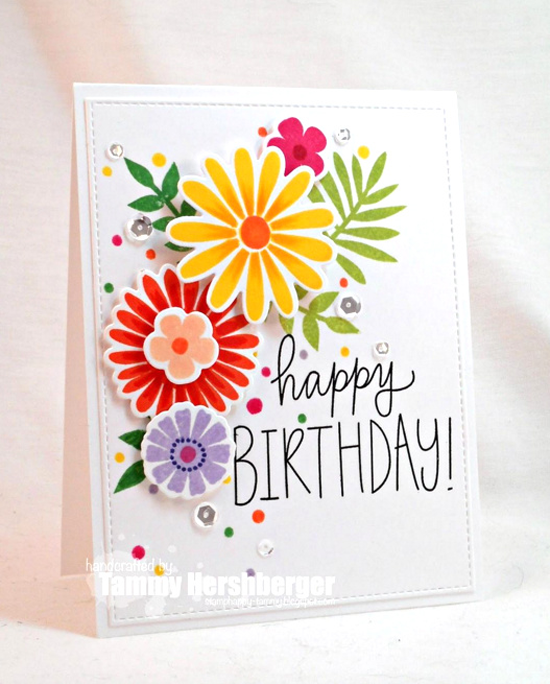 Tammy created this pretty birthday card for her mom based on a card she had seen by Kay Miller. Those flowers from the Large Desert Bouquet make a lot of impact on her design! 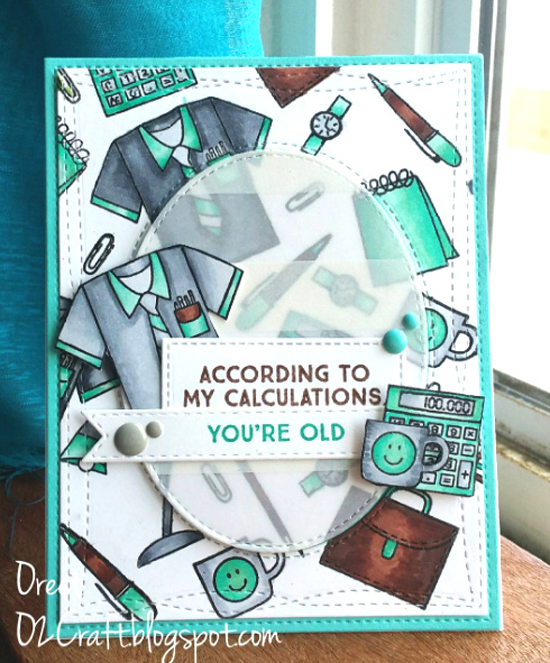 O2craftmama designed this fun masculine card using the Get Down to Business stamp set. I love the colors she chose and the vellum oval to tame things down a bit. 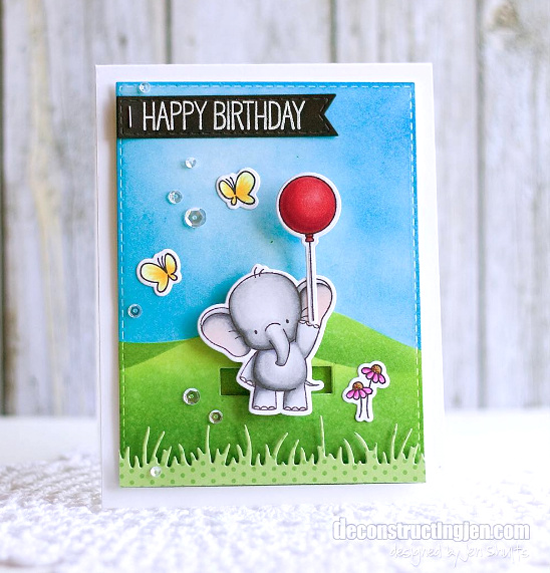 Jen created this cutie pie birthday slider card with the Adorable Elephants stamp set as part of Camp Create. So cheery and fun! 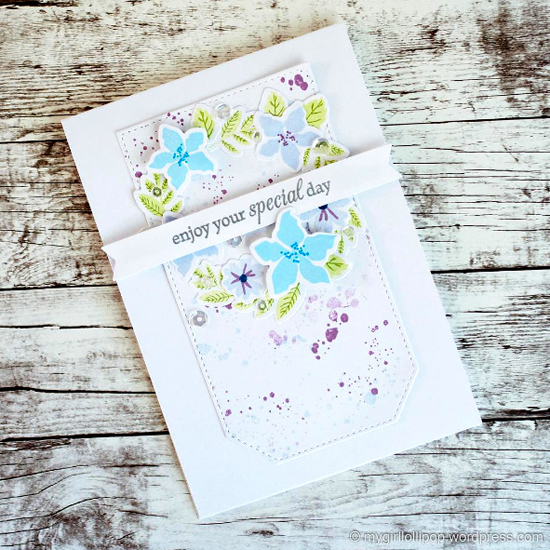 Gemma's soft design using the Mini Modern Blooms stamp set and Die-namics is sure to be a wonderful handmade birthday treat. Thanks for using MFT, ladies! You've left us inspired, and that's what it's all about! See you tomorrow for another great Sketch Challenge, and look for the next MFT Color Challenge on Thursday, July 14th. These cards are astonishing and well deserved of the spotlight. Love them. Exquisite work. Happy birthday, MFT, you are one of my favorite companies and sources of inspiration. Cheers! Thank you so much for Spotting my Hog Heaven birthday card, it's an honor to be highlighted here among such wonderful work. What beautiful and awesome cards!! Great work, ladies!! These cards are so clever and cute! Happy Birthday MFT! Thank you so very much for "spotting" my card--it was such a wonderful surprise to wake up to! I am beyond honored to be in the company of such talented and awesome designers!! Thanks again MFT and happy 10th birthday!